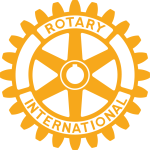 Welcome to the Rotary Club of Kauai, the mother club of all Kauai Rotary clubs. We meet weekly at noon Friday at the Nawiliwili Yacht Club in the Nawiliwili Small Boat Harbor, 2494 Niumalu Rd., Lihue, Kauai, Hawaii. Check out the Newsletter for the latest information on our club meeting and events. Our club meets every Friday for lunch at noon at Nawiliwili Yacht Club in the Nawiliwili Small Boat Harbor, 2494 Niumalu Rd., Lihue, HI. We welcome visiting Rotarians as well as the general public. If you wish to have lunch, please call the Plantation Coffee Company (245-3322) and order from their lunch menu found on their website (www.plantationcoffeecompany.com). Please order before 11 AM on the day of our meeting and indicate that the order is for Friday's Rotary Club meeting. 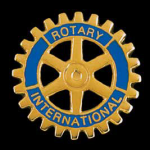 The Rotary Club of Kauai conducts numerous community service projects including ringing bells for the Salvation Army, giving dictionaries to third grade students, installing and maintaining ocean rescue tubes, and organizing the Lights on Rice Parade and the Old Koloa Sugar Mill Run. We raise scholarship money for students attending Kauai Community College. The Four-Way Test is used by Rotarians world-wide as a moral code for personal and business relationships. The test can be applied to almost any aspect of life.